Warning: Do not send or include any information in any email generated through this website if you consider the information to be confidential or privileged. By submitting information by email or other communication in response to this website, you agree that the communication does not create a lawyer-client relationship between you and the law firm and its lawyers and that any information submitted is not confidential and is not privileged. You further acknowledge that, unless the law firm subsequently enters into a lawyer-cent relationship with you, any information you provide will not be treated as confidential and any such information may be used adversely to you and for the benefit of current or future clients of the law firm. The first six years following admission to the State Bar of Texas, worked as a patent attorney and examiner with the U.S. Patent and Trademark Office and private industry. Has over 45 years of experience in real estate, banking law and lending matters. Current practice involves non-litigation matters for real estate matters and for financial lending institutions. 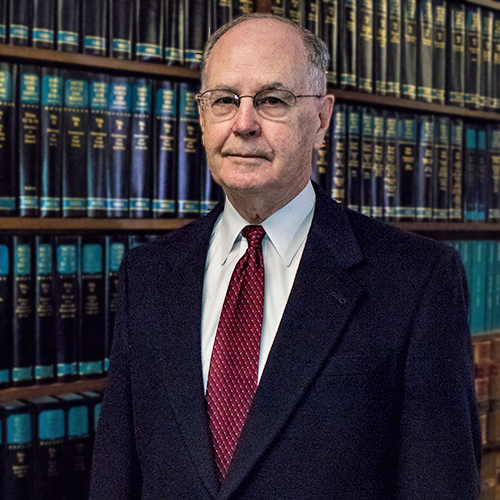 Admitted to the State Bar of Texas in 1963; Admitted to practice before the U.S. Patent & Trademark Office.